The Fiamma Carry-Bike Caravan XL A Pro 200 is a new improved version of bike carrier from the Caravan XL A PRO line. It carries two bikes and is smaller than Carry-Bike Caravan XL A Pro for installation on shorter drawbars. 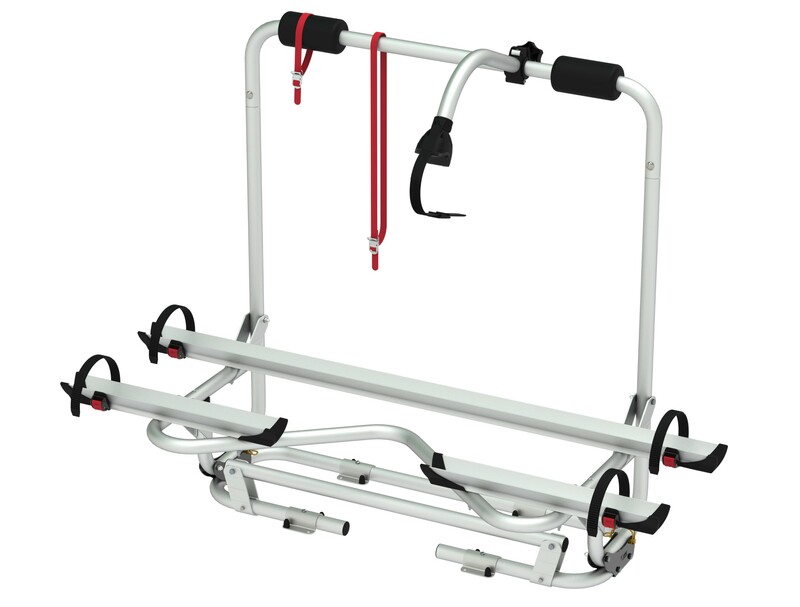 By holding the top of the bike rack and pivoting the carrier away from the caravan it is possible to open the storage compartment even with the bikes mounted (image shows XL A Pro). Supplied as standard with: 2x Rail Quick (bike support), 1x Bike Block Pro 2 (Carry-Bike to bike holder) and 1x Security Strip (buckled strap). Supplied as standard to carry 2-bikes.